Refurbished Wine, Whiskey and Bourbon Barrels Are A Money Saving Alternative To Brand New Barrels. 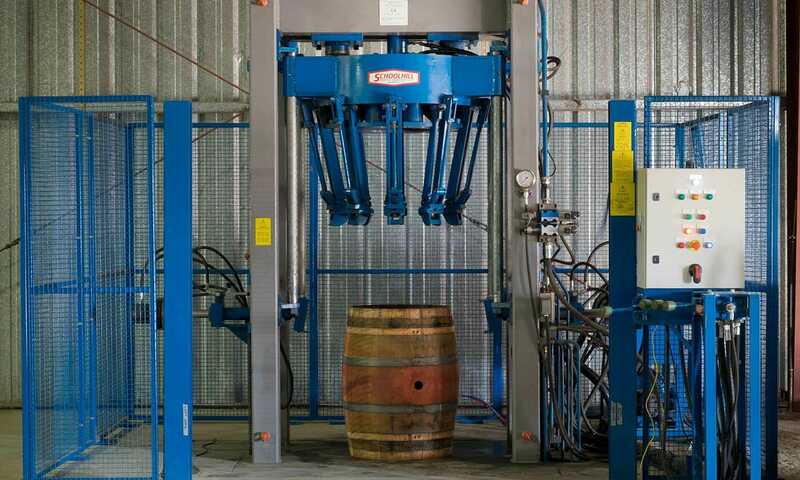 Our state of the art wine, whiskey and bourbon barrel refurbishment and repair facility utilizes a blend of classic coopering techniques with the latest mechanical handling machinery. This combination results in high quality refurbished barrels at very competitive prices. Country Connection operates both a scrape & char, and a shave & re-toast operation. The process for both is CNC and highly automated for consistency, and quality control. Both the level of charring, or toasting, and the depth of interior oak removed are adjustable to meet even the strictest of standards. 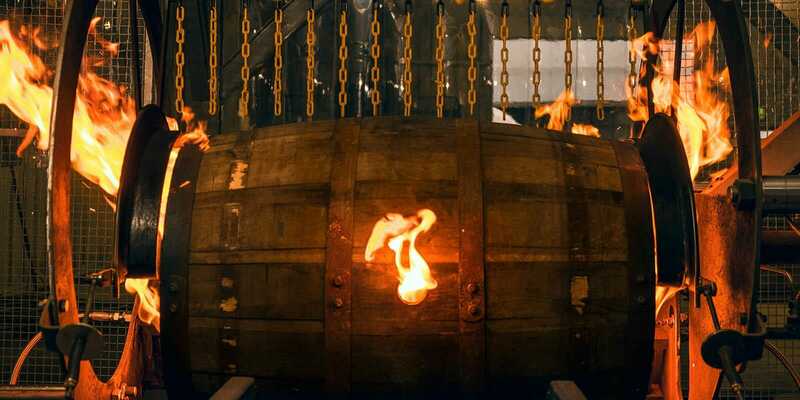 The objective is to expose fresh oak, and either re char, or re toast the barrel. We can take your older and make them like new again. Alternatively we can provide you with quality used French and American Oak wine barrels that have undergone the rejuvenation process at a fraction of the cost of new, or we can refurbish your existing inventory of used wine barrels. 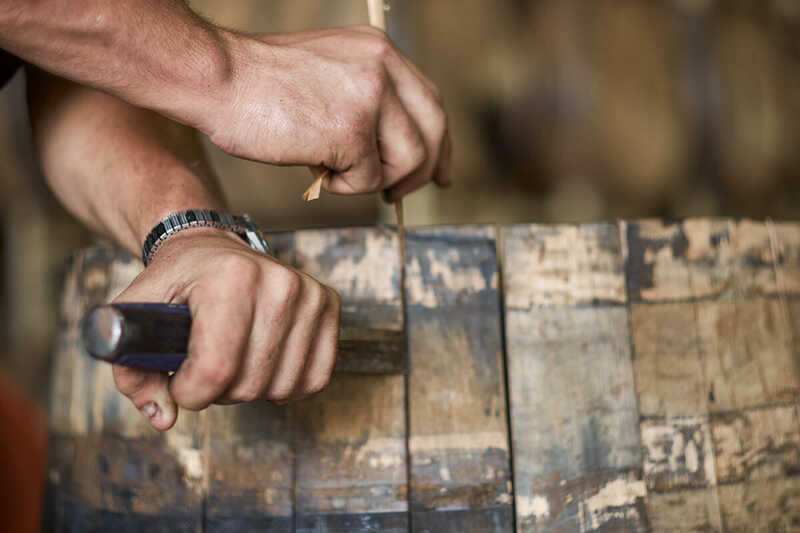 Country Connection also provides barrel repair services for large distilleries who need to process truck load quantities of barrels . Our thorough selection, grading and repair process ensures that every barrel that leaves are facility is 100% ready for refill. By shaving or brushing the neutral oak on inside of a wine barrel we can give it a few more years of use and save the customer a lot of money when compared to buying a new barrel. Our top of the line shaving machine is exact and efficient which allows us to deliver a product that accurately matches client specifications every time. Our state of the art Schoolhill Engineering toasting and charring machine delivers a uniform temperature profile throughout the wine or sprits barrel to ensure a consistent toast or char from one end of the barrel to the other. 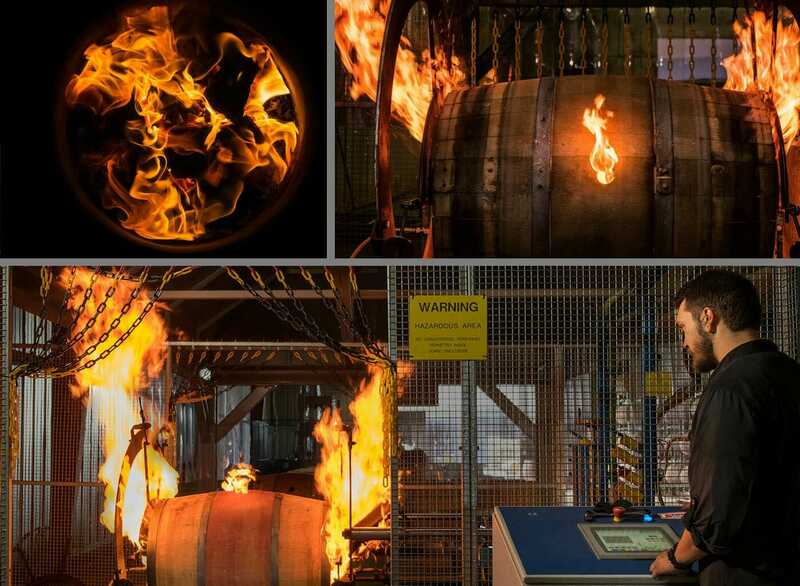 Our toasting and charring system utilizes real time temperature profile graphs for each individual barrel to ensure the exact charring or toasting specifications are met on each barrel or batch of barrels. The tight temperature control capability of are machinery make it possible to apply the perfect amount of heat required to release the desired flavor elements from within narrow temperature bands. 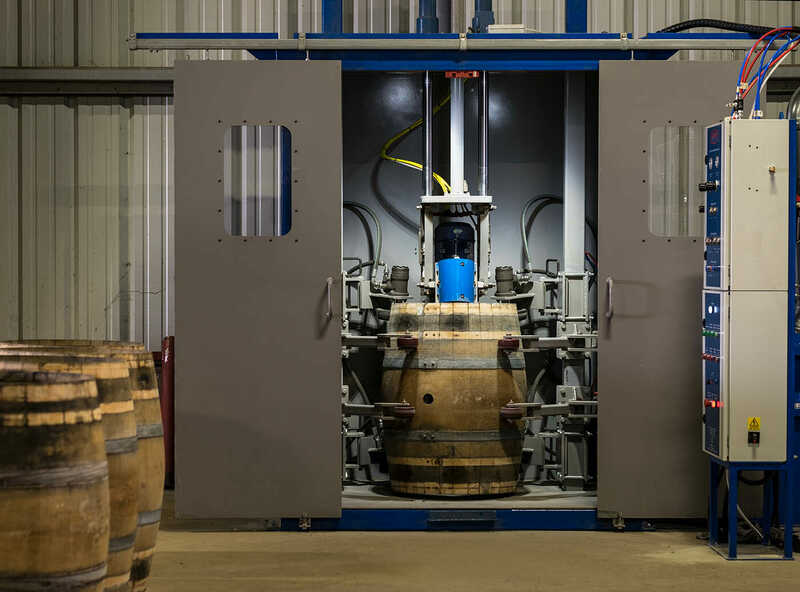 Our CNC hoop puller and driver is incredibly efficient which allows to quickly prepare barrels for refurbishing, and pass the money saved in shortened labor times to our customers. 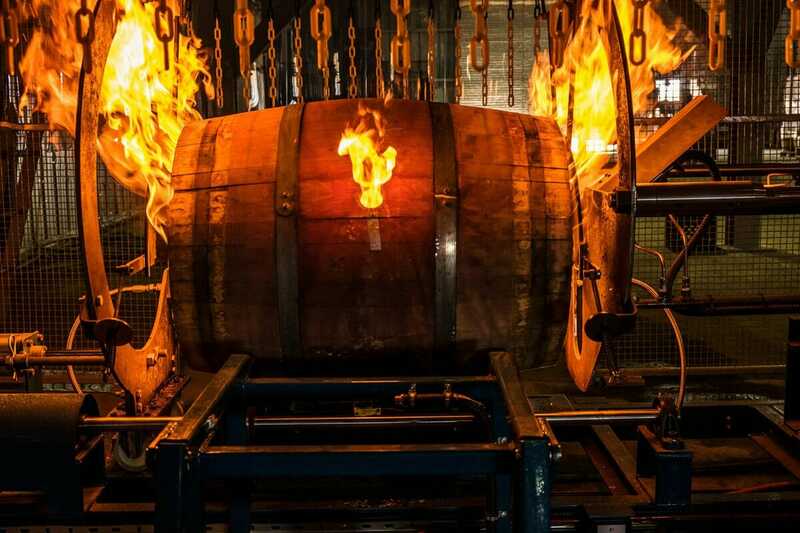 Our California and Kentucky cooperages offer wine, whiskey and bourbon barrel repair of truck load or more quantities of barrels for wineries, distilleries and breweries. Our experienced staff will inspect and repair any broken or cracked barrels in a batch. The efficiency and thoroughness of our staff ensures you will receive only leak free, refill ready barrels that will be good for years of use.